Not sure how to design your artificial grass project? PolyTurf can help. From advising on base preparations, edging, and drainage requirements to helping you select the perfect PolyTurf product for your application, we are here to assist you with your synthetic turf project from start to finish. 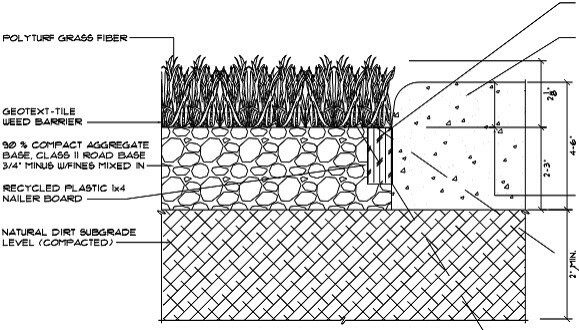 Synthetic turf installation guidelines and detail drawings are available for contractors new to the industry and for the do-it-yourself market.